LOCATION.--Lat 40°13'18", long 74°46'41" referenced to North American Datum of 1983, Trenton City, Mercer County, NJ, Hydrologic Unit 02040105, on left bank 450 ft upstream from Calhoun Street Bridge at Trenton, 0.5 mi upstream from Assunpink Creek, 0.9 mi north of Morrisville, PA, and at river mile 134.5. PERIOD OF RECORD.--Continuous-record discharge station, February 1913 to current year. October 1912 to February 1913 monthly discharge only, published in WSP 1302. Gage-height records collected in this vicinity since 1904 are contained in reports of the National Weather Service. Peak discharges recorded at Lambertville, NJ, 14.3 mi upstream of bridge on Calhoun Street for water years 1898 to 1906. REVISIONS HISTORY.--WSP 951: Drainage area. WSP 1302: 1913-20. WSP 1382: 1924, 1928. GAGE.--Water-stage recorder with telemetry. Datum of gage is NGVD of 1929. Prior to Sep 30, 1965, at datum 7.77 ft higher. Feb 24, 1913 to Oct 2, 1928, non-recording gage on downstream side of highway bridge at site 450 ft downstream. REMARKS.--Records good, except for estimated discharges, which are fair. Diurnal fluctuations at medium and low flow caused by power plants on tributary streams. Flow regulated by Lakes Wallenpaupack and Hopatcong (see 01455400), and by Pepacton, Cannonsville, Neversink Reservoirs and many smaller reservoirs. Diversion from Pepacton, Cannonsville, and Neversink Reservoirs. Diversion to Bradshaw and Merrill Creek Reservoirs and to Delaware and Raritan Canal (see 01460440). Water diverted just above station by Borough of Morrisville, PA and City of Trenton for municipal supply. EXTREMES FOR PERIOD OF RECORD.--Maximum discharge, 329,000 ft³/s, Aug 20, 1955, maximum flow since 1692, gage height, 28.60 ft, from high-water mark in gage house, current datum, from rating curve extended above 230,000 ft³/s, on basis of flood-routing study; minimum discharge, 1,180 ft³/s, Oct 31, 1963. EXTREMES OUTSIDE PERIOD OF RECORD.--Flood of Oct 11, 1903 reached an elevation of about 28.5 ft above NGVD of 1929, discharge, estimated at 295,000 ft³/s. Maximum elevation known, 30.6 ft above NGVD of 1929, Mar 8, 1904, from floodmark, due to ice jam. Water years 1945 to current year. Dissolved Oxygen: October 1962 to current year. Recorded once daily during 1979.
pH: June 1968 to current year. Recorded as once daily during 1979. Specific Conductance: October 1963 to current year. Recorded as once daily during years 1964 to 1968, 1979. Suspended Sediment Concentration: September 1949 to March 1982. Suspended Sediment Discharge: September 1949 to March 1982. Water Temperature: October 1944 to current year. Recorded as once daily during years 1945 to 1953, 1962, 1964, 1979. Turbidity: November 2000 to current year. REMARKS.--Data were collected in cooperation with the U.S. Geological Survey National Water-Quality Assessment (NAWQA) Program and the Delaware River Basin Commission (DRBC). DISSOLVED OXYGEN: Maximum, 20.0 mg/L, Feb 11, 1989; minimum, 4.0 mg/L, Nov 9, 1972, Sep 9, 1995. DISSOLVED OXYGEN, PERCENT OF SATURATION: Maximum, 199 %, Jul 5, 2010; minimum, 59 %, Aug 9, 2005.
pH: Maximum, 10.3 standard units, Aug 9, 10, 1983; minimum, 5.3 standard units, Jun 22, 1972. SPECIFIC CONDUCTANCE: Maximum, 468 microsiemens/cm, Jan 11, 1999; minimum, 63 microsiemens/cm, Jul 7, 1984. WATER TEMPERATURE: Maximum, 34.0°C, Jun 18, 1957; minimum, -0.6°C, on many days during winter months in water years 1954-57. TURBIDITY: Maximum, 880 FNU, Jun 28, 29, 2006; minimum, <0.5 FNU, on many days throughout the period of record. 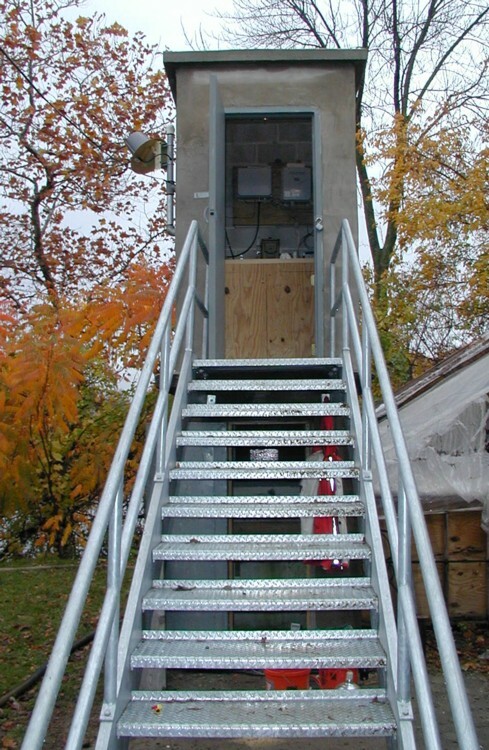 National Weather Service flood stage for this gage is 20.0 ft.
Add up to 2 more sites and replot for "Temperature, water, degrees Celsius, [(2)]"
Add up to 2 more sites and replot for "Specific conductance, water, unfiltered, microsiemens per centimeter at 25 degrees Celsius, [(2)]"
Add up to 2 more sites and replot for "Dissolved oxygen, water, unfiltered, milligrams per liter, [(2)]"
Add up to 2 more sites and replot for "pH, water, unfiltered, field, standard units, [(2)]"